Some magic seeds were planted last November. The climate outside the Mad Meat Genius kitchen is mild year round. We rarely get a freeze and we try to take advantage of it. 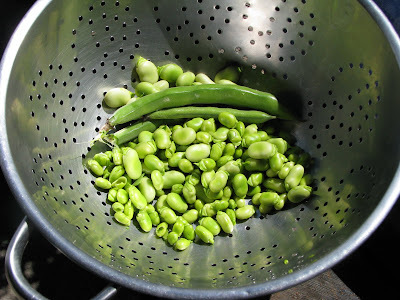 Today was the first harvest of our fava plants. These are immature seeds that need no peeling except for the outer pod. A little blanching and combine with our pasta, olive oil and cheese make our fava’s magical indeed. 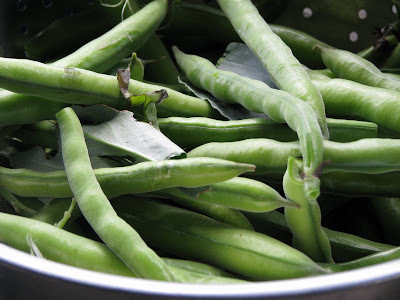 They are probably less starchy than the more mature beans, too. Bravo! Zoomie, Tastes like spring. I like them best in the middle of their growing cyle. We callin' you Jack from now on! Nice! You can't eat any more local than your own back yard.